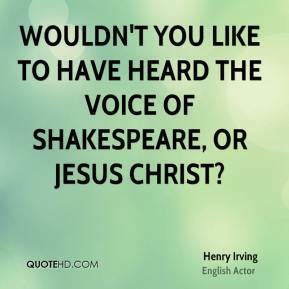 Wouldn't you like to have heard the voice of Shakespeare, or Jesus Christ? You speak into it and everything is recorded, voice, tone, intonation, everything. 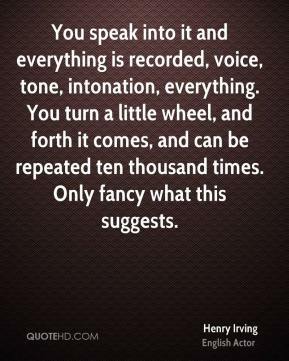 You turn a little wheel, and forth it comes, and can be repeated ten thousand times. Only fancy what this suggests.